Inter-Tech employees take pride in their work, and part of that is making sure the job is done right the first time. A big part of this is diagnosing problems with your car or truck. Inter-Tech uses some of the best high-tech tools available to any body shop. 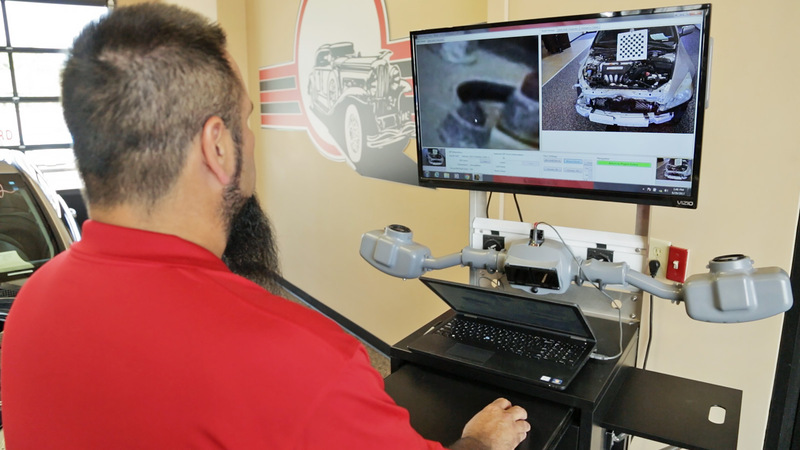 We want to make sure we know exactly what we are working with, determine exactly what the issue is with your vehicle and determine the next steps on getting you back on the road again. Time is money. We know that your time is extremely valuable, and you can’t be waiting around while your body shop tries to determine exactly what is wrong with your car, before even beginning the repair process. This is why we take so much care, and put such a big emphasis on our diagnostic process. Our diagnostic tools determine what the issue is, and then give our certified techs the exact roadmap to fix the issue and get you going again. If you’ve been in an accident, or you have a nagging issue with your car or truck that you would like looked at, give Inter-Tech a call, and let us determine exactly what is going on and what is needed to solve the problem.